Honda has just released details of its brand new BF80 and BF100 outboard engines, which will hit the market next year to coincide with Honda Marine’s 50-year anniversary. The BF80 / BF100’s 1.5L, SOHC, 16-valve, inline four-cylinder engine is inspired by the same engine that powers Honda’s number one selling motor vehicle, the ‘Jazz’. A range of Honda-exclusive technologies combine to deliver exceptional power, superior environmental performance and best-in-class fuel economy. Incorporated within the BF80 / BF100’s lightweight and compact design is BLAST – advanced ignition timing control system, which significantly improves hole-shot performance; ECOmo – sophisticated lean burn fuel control system, which contributes to excellent fuel economy; and VTEC (BF100) – variable valve timing technology, originally developed for Formula One race cars, to deliver incredible power. A refined high-performance gear case enhances hydrodynamic efficiency, while engine exhaust is even further reduced – inline with Honda’s unwavering commitment to the environment. An optional Trolling Control function allows precise control of engine speed, with adjustments in 50rpm increments from 650rpm to 1000rpm, which is ideal for various styles of fishing and slow speed manoeuvres. The new engines can also be networked with Honda’s VeeThree multi-function digital gauges. Designed to provide a comprehensive range of information to users, the gauges also feature Honda’s unique Eco light, which indicates when ECOmo mode is in operation (for best fuel efficiency during cruising). 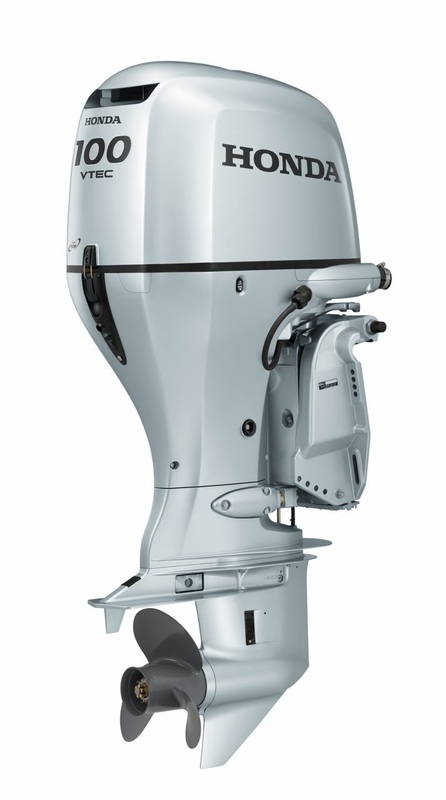 Further strengthening Honda’s comprehensive marine engine line-up, the new BF80 and BF100 are scheduled to be available in Australia from early 2014. What's Under the Tree This Year? Honey Let's Buy a Boat!